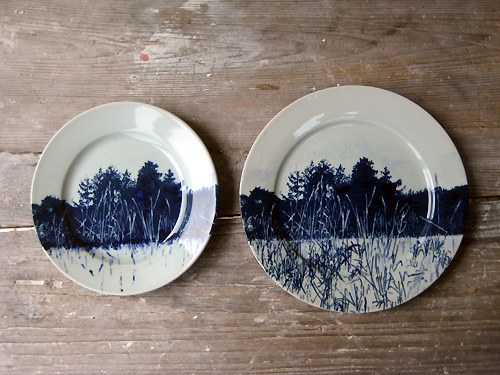 How do the printed images come onto the porcelain? I often asked me that. 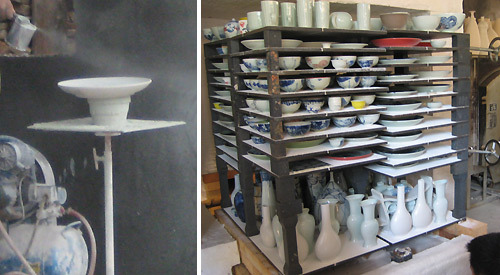 Here I want to show my experience in a Chinese ceramics studio (limited by my little knowledge on ceramics). 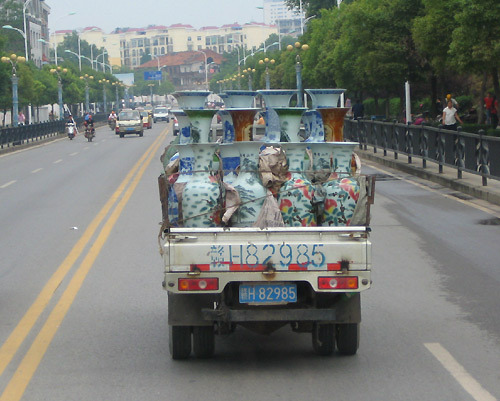 This is Jingdezhen, the capital of Chinese porcelain. 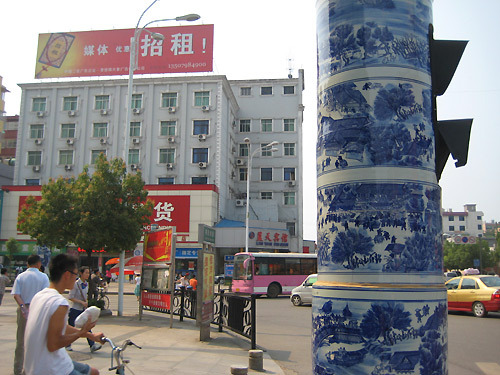 Even the traffic lights are here made from porcelain. 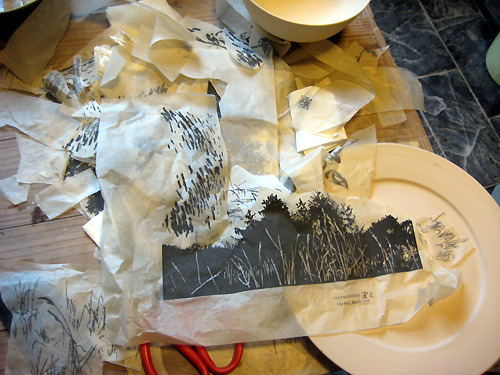 In the Summer of 2009 I participated in a class for printmaking artists in working with decals at the local studio Sanbao. A selection of decals. 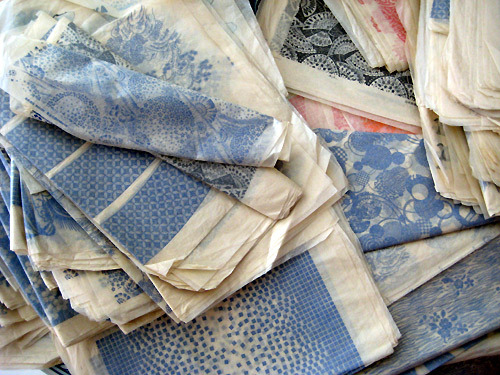 They are made by printing a pigment mix, for instance with cobalt, onto a thin paper, by screen printing or like intaglios from metal plates with a press. Previously I had sent the studio some black-and-white designs which they had prepared as cobalt decals. 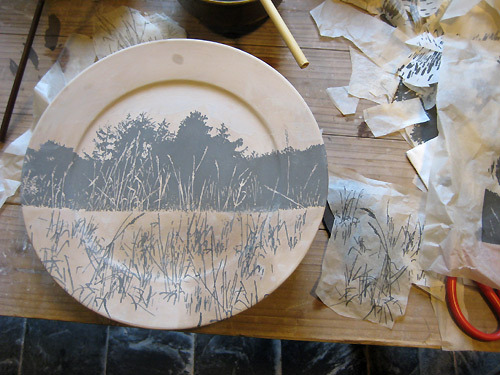 I transferred the different elements next or on top of each other onto the still soft porcelain form. For transferring the decal is pushed onto a slightly moistened area with a brush and carefully pulled off, leaving back the cobalt layer. The form then is covered with glace and burned.